Welcome to the second entry in my “Fall and Film” series. In part one, I discussed the season itself and how the atmosphere of the weather and all things associated with autumn that make it my favorite time of year. The dark mood of the weather, the cool air and cold rains, the brilliant colors of the leaves contrasted with the gray skies, and the fragrant foods. Indeed, this is a wonderful time of year, one in which I enjoy going through some of my favorite horror movies. How could one not enjoy this activity in October? After all, the month concludes with Halloween, a time in which pure spectacle and entertainment in a holiday-style setting. Therefore, for this month, I decided to dedicate a series of blog entries to various movies in the horror genre that, in going with the personal theme of my first post, are favorites of mine or that mean something special to me. Because I want to cover a fair amount of ground, my discussions will not be as in-depth as the 2001: A Space Odyssey tribute. Finally, I decided to organize this list not as a “top ten” or anything of that sort, rather I am going to run through a number of horror sub-genres and discuss one of my favorites from that category. Again, my goal here is not to provide in-depth analysis, but 1) To provide my own personal perspective on films and 2) To inspire you the reader to see some of these, if you have not. If you have seen one or more of the films that I will be discussing, feel free to chime in with an agreement or disagreement. With that said, here we go! Right from the start, I am clearly stretching the definition of a “creature feature.” True, it would have been easy to go with something like The Thing or Alien, but in all honestly, I knew this film had to make the list. The original plan was a favorite silent film, but after thinking about this movie, I think it classifies as a monster movie. In addition, it is considered the first horror movie. To be honest, the film is a little difficult to describe. I do not want to give away too much of the plot, because the film has one of the earliest examples (that I can think of at least) of a twist ending. The plot involves a character named Dr. Caligari who shows off, as part of a sideshow attraction, a somnambulist (sleepwalker) named Cesare, who carries out murders for the doctor. My favorite aspect of the film is its visual style. This is an example of German Expressionism, a film movement of the silent-era. Nothing looks normal as everything bends at strange angles. Even the shadows that come through windows are painted on the floor. This surreal imagery compliments the cryptic storytelling and dark mood perfectly. The full movie is on YouTube (although I cannot speak to whether it is still in Copyright). A decent release from Image Entertainment is available for Instant Watch on Netflix. Personally, the restored version produced by Kino Video is my favorite. It is a class, and I cannot recommend it enough for all lovers of horror movies. I acknowledge upfront that this is a cliché choice. 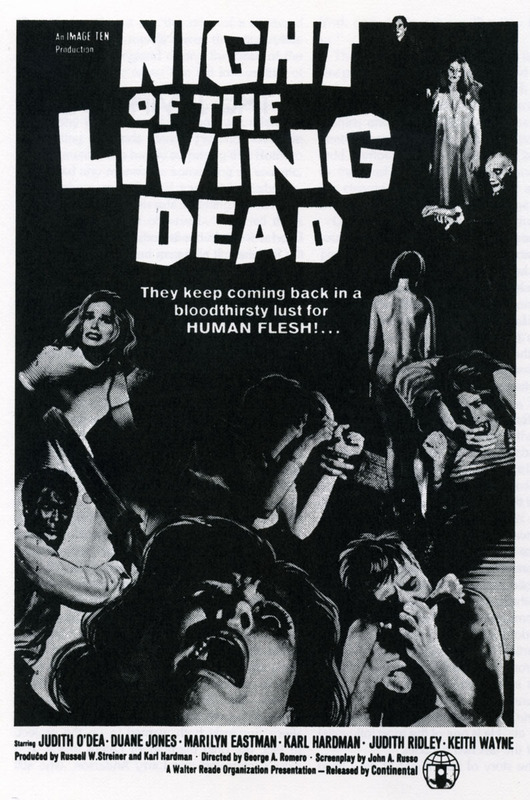 How could I choose this film in an age in which zombies are fashionable again (think Dinosaurs if you grew up in the 90s), and with hit TV shows like “The Walking Dead?” Despite a plethora of zombie movies in the years since 1968, this is still the one that belongs on this list for me. I will go as far as to say that, given the choice, I would rather watch the original Dawn of the Dead, as it is the better and more entertaining film. Nevertheless, let us not forget the qualities that made George A. Romero’s Night of the Living Dead the blueprint for zombie horror movies. The movie is low budget, black and white, and thus simplistic in its style. The opening scene with our main character in the graveyard is unforgettable. Without warning, reason, or setup, a zombie attacks her and her brother. She flees to a nearby farmhouse where her and other strangers must fend off the hoard of zombies trying to eat our survivors. If you have seen this movie, this may come as a bit of a curve ball. Although it is typically classified as a zombie movie, I would submit that it is in-fact a haunted house picture. The movie follows the character of Ash, played by the always-entertaining Bruce Campbell, as he, his girlfriend, and two other friends go to spend a weekend at a secluded cabin in the middle of the woods in Tennessee. What follows is the discovery of an audio recording and an ancient book. The special effects in this movie were ground breaking for the time, especially considering that the movie is a low-budget production in which director Sam Raimi created many of the effects himself. The reason this film qualifies as a haunted house story in my mind is for the simple fact that the action occurs within the context of the cabin. Compounding the restriction of the location is the fact that the movie has a mood that does not let up. Watching Evil Dead is like recounting a nightmare. Many parts, like a nightmare, do not make sense and the movie moves through with a feeling of complete dread. Do not even get me started on the infamous “tree scene.” It is so shocking and so bizarre, I honestly do not know what to even think about it. Despite that, this is the ultimate movie to sit and watch on the couch, late in the middle of the night, with a bowl of popcorn. This film also produced two sequels and a reboot. Briefly, Evil Dead 2 is also a terrific movie. The plot is strange as it is somewhat of a sequel, somewhat of a re-telling of the original. The gore factor is still high, but the comedic elements were emphasized in this film, making it more of a horror/comedy. It is still very much worth a view. The third film, Army of Darkness, is highly entertaining and quite different from the first two. It is more of an action/comedy, containing minimal horror elements. 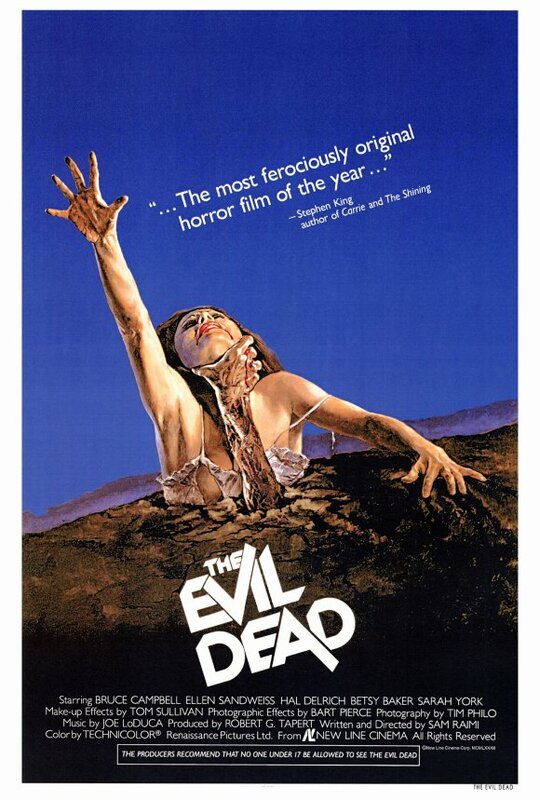 Finally, I have not seen the Evil Dead reboot/remake. Although a number of people tell me that it is excellent, I am hesitant. I generally despise remakes and reboots, but that will have to wait for another post. Bonus: Apparently, Stephen King regards this as one of his favorite films. 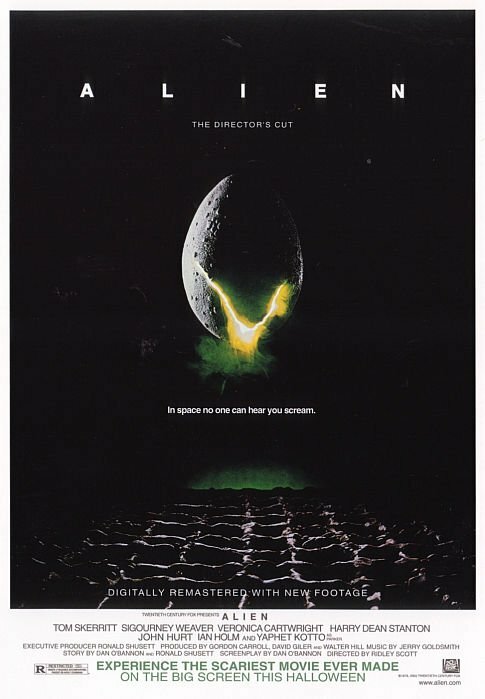 As a bonus for this category, I would consider Ridley Scott’s claustrophobic Alien to be a modified haunted house feature. Of course, this film belongs in the “killer monster” or “creature feature,” given that the alien creature drives the plot. However, I would argue that the again, the confined nature of the setting makes the dark spaceship a key component for the tension. The slow pacing, the slightly obscured story line, and the infamous dinner scene all contribute to the building of a tension. Where the film takes a true haunted house style turn is in the middle act when the crew has to look for the alien, running amuck on the ship. This is another classic that is certainly worth a look. This concludes my second part on the “Fall and Film” series. As you see, the movies I chose are older and I think that is because I lean towards older films. Perhaps at some point I will do the same categories, but with more modern films. Despite the sixty-year plus time difference between the release of some of these films, they all share the same characteristic of creating a chilling atmosphere that, for me personally, draws the viewer into the film and absorbs one in the world in which the movie creates. These films, for the most part, do not shock with “boo scares” or sudden loud noises, but rather chill you with the surrealistic, nightmarish quality. I would, obviously, recommend all during October and the lead up to Halloween. I hope you enjoyed this installment of “Fall and Film.” Again, if you have seen these films, I hope you enjoyed my (brief) commentary on what they mean to me, and if you have not seen any of these selections, hopefully my comments will inspire you to give them a chance. Stay tuned for part three in which I discuss other sub-categories of the horror genre. 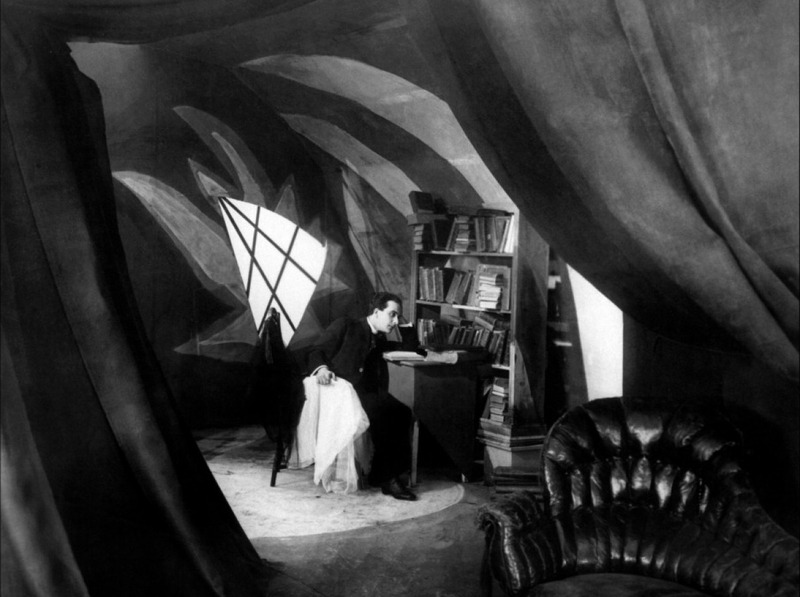 This entry was posted in Movies and tagged Cabinet of Dr. Caligari, Favorite Films, Halloween, Horror Movies, Night of the Living Dead, The Evil Dead. Bookmark the permalink.